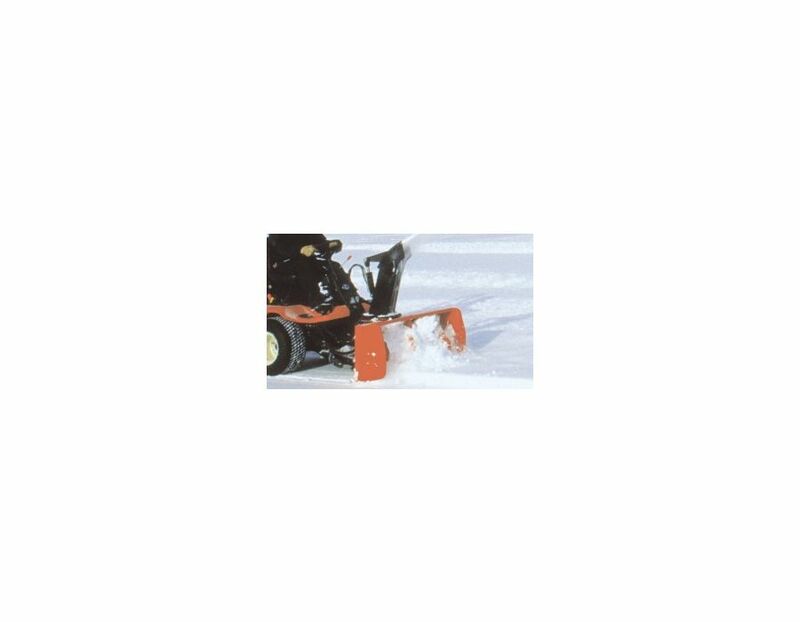 42 Inch Cutting Width - With standard tires, the GF1800 Series tractor and GF5225 snow blower, you will easily cut through snow 42 inches at a time. 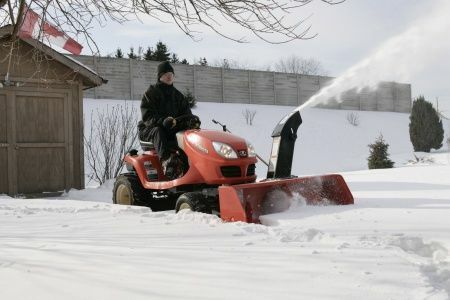 Designed for long life and dependability, this combination will not disappoint. 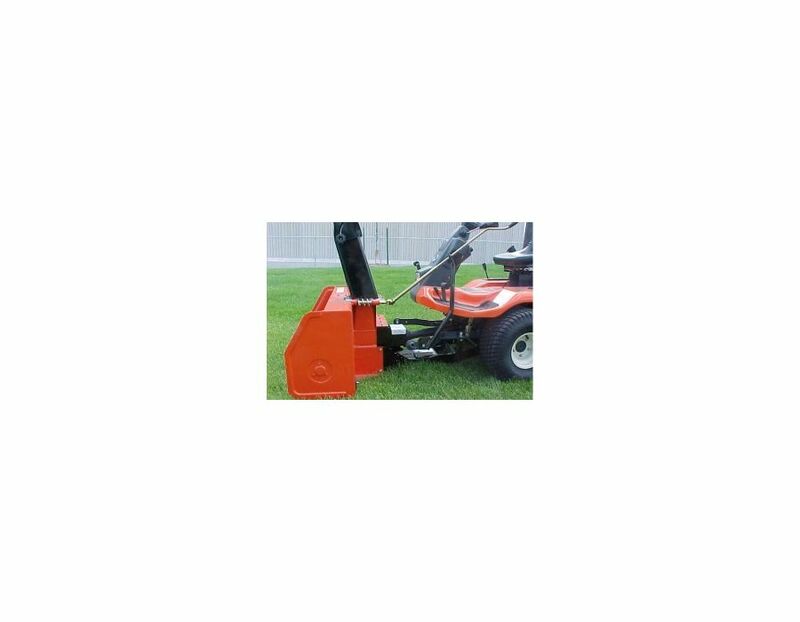 Quick Hitch Design - The GF1800 Quick Hitch Design allows for fast and easy attachment or detachment of front mount implements. 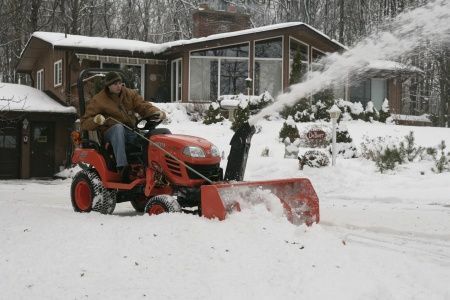 Switch from blowing snow to sweeper or blade work in seconds. 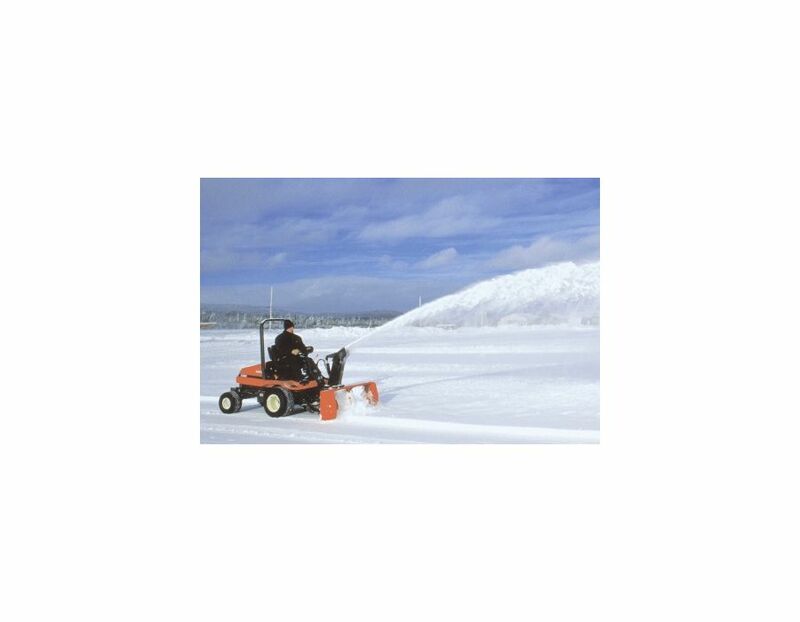 High Torque Low Speed - The Chute rotation uses a high torque low speed motor, providing more traction on the snow removal and prevents ice buildup. Adjustable Skid Shoes - The GF5225 has two pin hole adjustment locations for the skid shoes. This allows a more customized setting for the ground base (asphalt or gravel for example). 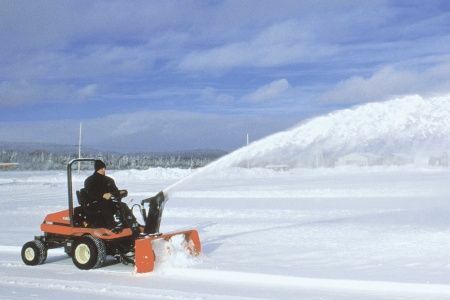 Heavy Duty Chute - The chute is designed like the rest of the snow blower, to commercial standards. 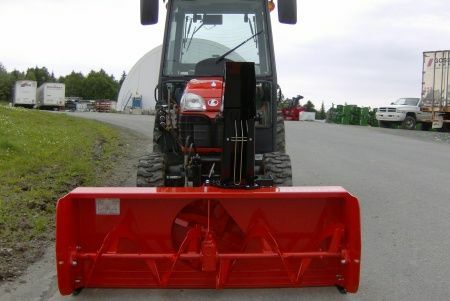 The heavy duty design means it will stand up to the harsh environments and debris. 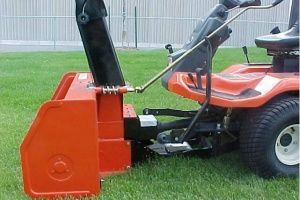 Chute rotation is available is manual or the electric option. (Manual angle shown here). 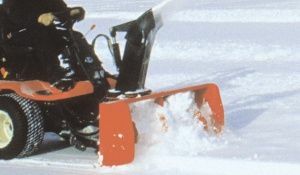 The GF5225 GF Series Snowblower is available at Kooy Brothers, located at 1919 Wilson Ave., Toronto, Ontario.